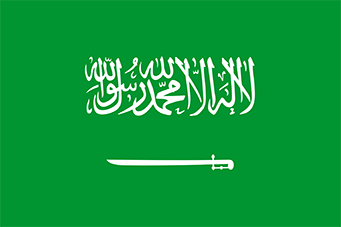 The Saudi Arabia transit visa is usually issued for the exact date of entry/exit as evidenced by the airline tickets. Visa cannot be issued more than 30 days prior to entry. Transit period cannot exceed 72 hours. Your application will be checked and hand carried to the Embassy and is usually processed in 48 hours. A valid, signed US passport. The passport must have at least 6 months remaining after the completion of your stay in Saudi Arabia, and contain two consecutive blank visa pages. Side by side blank pages. Original round trip confirmed airline tickets showing travel in and out of Saudi within 72 hours. For Non-US Citizens, proof of permanent residence in the US is required. The Saudi Arabia business visa is usually issued for a single entry within 60 days provided the passport remains valid, for a period of stay not exceeding 30 days. Your sponsor in Saudi Arabia must send you an official invitation bearing the company seal and the seal of the Chamber of Commerce. A letter from the sponsoring company is required, indicating the Block Visa Number and date. Together with official transcripts notarized and sealed by the registrar’s office including the social security number of the applicant or Technical Training Certificates, notarized and authenticated by your State Secretary. Technical training Certificates may only be used for non-managerial positions.